Taking proper care of your hardwood floors involves refinishing every ten years or so. 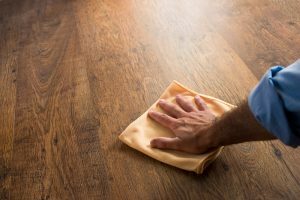 How often you need to refinish your floors and the process involved depends on which of the two compounds you choose to put down; Oil-based polyurethane(poly) or water-based poly. Each type of poly has different pros and cons and can be the best for a given situation. They have different price points, should be applied to different floors, and take different amounts of time to dry. 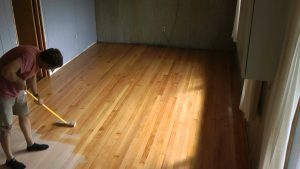 Depending on how important each of these facets is to your specific situation, you may want to choose oil or water based poly to refinish your floors. First, and maybe most importantly, water-based polyurethane is two to three times more expensive than oil based poly. It has fewer VOCs (volatile organic compounds), smells less, and is clear. The higher price point is amplified by the fact that you need more layers of the poly to protect your floor, thanks to the more watery composition. Whether or not you’re getting what you pay for is really determined by how important the advantages of water-based poly are to you. The entire process of applying water-based polyurethane to your floor takes far less time than its oil-based counterpart. Up to four coats of water-based poly can be applied in one day, whilst oil based poly can be only be applied once every 24 hours. Another 24 is needed before you can walk on your newly refinished floors with socks on. The wait is quite worth it, however, since generally oil-based poly is more durable and lasts longer. It takes a top of the line water poly (the Bona brand is often cited) to compete. The type of wood floor you have is the other important factor to take into account. When deciding between refinishing products, oil-based polyurethane slightly yellows with age over time, while water goes on clear. For a majority of wood products the yellowing is rather indistinguishable, but for maplewood or white/grey washed floors I would highly recommend using water-based poly. In general, I would recommend going withan oil-based polyurethane. The overall refinishing quality and durability are much higher. For specific situations, however, I would say to go with water-poly. If you own a business and closing shop for more than a day or two is a serious hit, then go with the quick option. 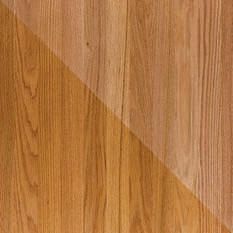 The same goes for very light colored wood floors; oil would yellow over time which can look pretty gross. Like I said earlier, there isn’t a right or wrong answer every time. Figure out your situation and make the most informed call! We’ll be there to help no matter which one you pick. New homeowner? Or simply remodeling and taking a second look at those old floors? I know this choice is one of the hardest to make when it comes to making your dream home look like, well, your dreams. Because everyone’s needs are different, I can’t just straight up tell you the best option to put under your feet. However, I may be able to point you in the right direction. The two most popular flooring choices are hardwood and carpet, so we’ll focus on those two. The other kinds of flooring will most certainly get their time in the spotlight in another segment. Let’s begin! Ah, carpet. Soft, comfortable, and warm. 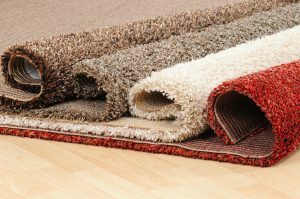 A favorite for many, you’ll find carpet covering the bottom of a majority of homes. It’s quite the popular pick for a few reasons, primarily of which is the comfort. Carpet is soft under bare feet, which has major upsoides. Not only do you not need to wear a pair of slippers to comfortably exit your bed in the morning, but dropping your phone on the way out isn’t a death sentence for your wallet. Carpet’s soft texture is not only comfortable but safe as well. It can cushion falls and drops while providing a pretty safe space for small animals or children. It’s also nice and quiet. NRC means Noise Reduction Coefficient, and can be used to describe how much noise carpet absorbs. Most carpets have an NRC of around .35, meaning 35% of most sounds is absorbed and not reflected, resulting in a quieter home for both you and your upstairs/downstairs neighbors. For rooms where a high schooler may be learning/practicing the drums, I’d recommend carpet over the almost perfectly sound reflective hardwood. Unfortunately, carpet isn’t all upside. You knew this was coming, right? It can get pretty dirty comparablee to hardwood. 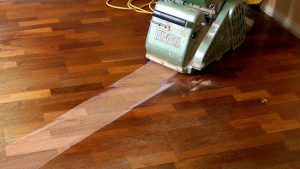 A simple sweep every day does a majority of the cleaning work when it comes to your wood floors. Carpet, on the other hand, needs vacuuming and shampooing and even then sometimes not everything is out. Carpet also stains a lot more easily from spills/pet urine than most hardwoods. Depending on the allergies of the people in your home, this can be a problem, or at least something that requires a lot of maintenance. Hardwood floors make a huge statement in your home. They are often seen as high end, luxurious, and bold. Flooring your home with all-natural hardwood is also great for the environment. Trees can be replanted and are a naturally occurring resource. A majority of carpet is made from petroleum; a very limited and very unnatural material. Hardwood floors can be refinished after damage simply by sanding down past the damage and reapplying the stain. This longevity is appealing to many people, making a hardwood floor installment a decades-long investment with the proper care. At the end of the day, both options are extremely valid for different situations. Check us out if you’ve made any kind of decision! Carpet is much cheaper and easier but also requires more work to keep clean. 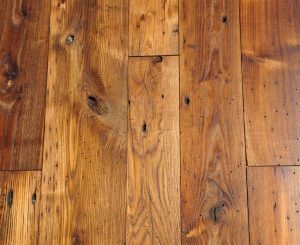 Hardwood is impressive and timeless but is also a bit more of a financial investment. In the future, I’ll be writing about specific rooms of the house, but hopefully this is enough food for thought until then.